Dubai, U.A.E. 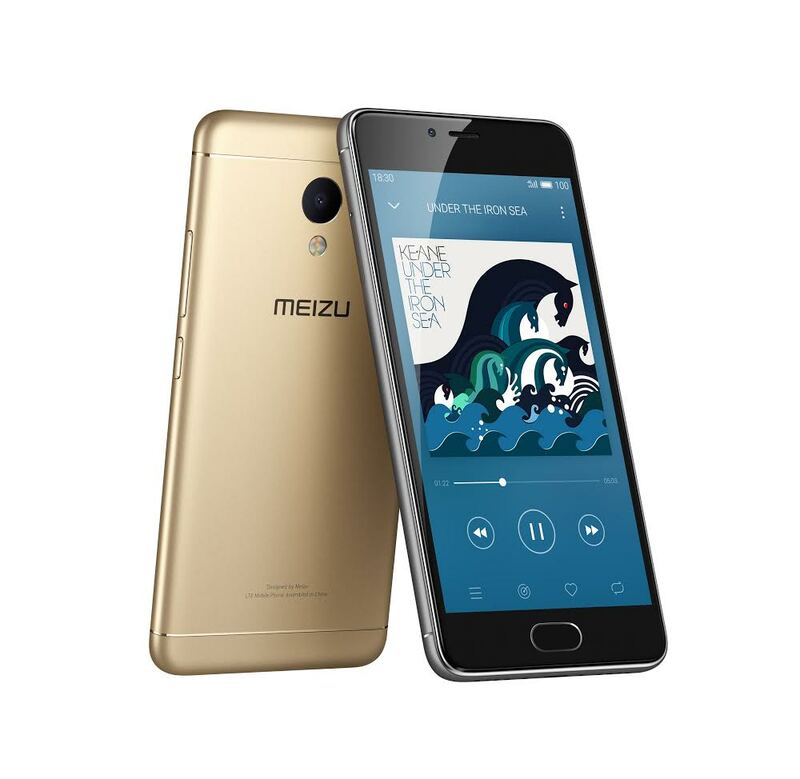 : SOUQ.com, the Middle East’s largest online retail and marketplace platform, has exclusively announced the launch of the Meizu M3 Note and M3s in the UAE and KSA. The Meizu M3 Note compiles the best Android fingerprint sensor with 4100 mAh battery and symmetrical design to give lasting perfect performance and an elegant outlook. The Meizu M3s boasts an all metal body with sophisticated full lamination technology and 2.5D glass design that brings smooth hand feel and a striking appearance. The 3GB version of M3 Note and M3s are exclusively available on SOUQ.com with the M3 Note priced at AED 649 and the M3s priced at AED 549 in the UAE and SAR 649 and SAR 549 in the KSA respectively. The M3 Note embodies long lasting beauty in its design. With a matchless combination of a 2.5D front panel and a metal unibody design, the Meizu M3 note offers a simplified and delicate visual perception while being smooth to use,and packing a whopping 4100mAh battery. The mTouch 2.1 fingerprint sensor has outstanding reliability and user experience The 13 megapixel main camera of Meizu m3 note is equipped with a large ƒ/2.2 aperture while customized 5P film lens in a thin body to ensure exquisite photos and videos. The Meizu M3s features a smooth and delicate metal body and features a 5-inch high-definition screen that blows you away immediately thanks to sophisticated full lamination technology. The M3s features mTouch 2.1, which provides you with the most convenient way of securing your phone through fingerprint technology. The outstanding octa-core A53 processor complements the Meizu M3s with outstanding performance. The 13-megapixel rear camera supports quick and automatic phase focusing, which makes snapping a great photo easier than ever. The Meizu M3 Note is now available on SOUQ.com at AED 649 and the M3s at AED 549 in the UAE and SAR 649 and SAR 549 in the KSA. SOUQ.com is the largest online retail and marketplace platform in the Arab world, featuring more than 1.5 million products across 31 categories such as consumer electronics, fashion, health and beauty, household goods, and baby. Today, SOUQ.com attracts over 45 million visits per month, with localised operations in the KSA, UAE and Egypt. Established in 2003 and headquartered in Zhuhai, China, MEIZU designs and produces smartphones created to provide a simple, intuitive mobile experience for people whose time is expected to be simply spent in using their devices, instead of figuring out the way of using them. MEIZU expanded into the smartphone market in 2008 and has been committed to developing high-end smartphones ever since. Based on a business philosophy and commitment to pursuing perfection and long-term development, MEIZU remains laser focused on developing innovative and user-friendly smartphones for consumers. With more than 5000 employees and 1800 retail stores, the company has built a global presence in Hong Kong, Russia and Ukraine, EU, India and other southeast countries. MEIZU phones are characterized by their light, comfortable design with a unique wide screen, premium sound quality, high-definition camera, and simple, elegant user interface, combining performance, ease of use and functionality with the durability needed to survive the human experience.